Joseph Akanni is currently a Senior Mechanical Static Equipment Engineer at Shell Nigeria. He is a Materials, Corrosion and Inspection Engineer and API 580 Certified Risk Based Inspection Professional with interest in ensuring and assuring asset integrity for oil and gas facilities. Working experience spans over 12 years, in engineering design, material selection, pipeline corrosion control, inspection discipline assurance and facilitating risk based inspection workshops. Presently working as Senior Mechanical Static Equipment Engineer with Shell Production Development Company (SPDC) Nigeria. 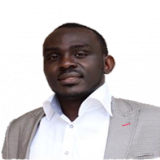 Holds an Msc in Materials & Metallurgical Engineering from the University of Lagos, an alumni of the NACE International leadership Program, speaker at international conferences and registered with relevant local and international professional bodies. Check out the incredible speaker line-up to see who will be joining Joseph.